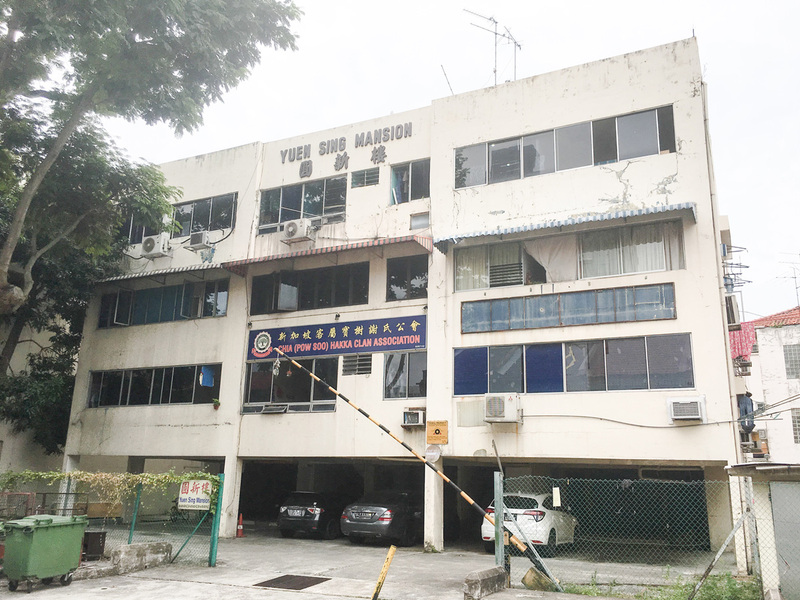 Yuen Sing Mansion, a freehold collective sale site at Nos. 6A - 10C Geylang Lorong 13, has just been launched for sale by tender by sole marketing agent, JLL. The four-storey development comprises nine apartments built on a regular shaped plot. All the owners have consented to the collective sale and no Strata Titles Board approval would be required. Under the 2014 Master Plan, the 7,868 sq ft site is zoned ‘Residential/Institution’ with a gross plot ratio of 2.8 and an allowable height of up to 8 storeys (subject to 26m Above Mean Sea Level). A developer can potentially configure the allowable GFA of 24,235 sq ft up to 29 apartments based on the Urban Redevelopment Authority’s grant of outline permission recently. The site is not subject to Pre-Application Feasibility Study on traffic impact based on a reply from the Land Transport Authority. Nestled in a convenient locality with a rich cultural heritage and vibrancy, the plot has easy access to many entertainment and dining options in the Geylang area. It also enjoys excellent public transport accessibility with the Aljunied and Kallang MRT Stations being within an 800m and 850m walk respectively. For a host of services, shopping and leisure activities, Paya Lebar Centre, Singapore Sports Hub, the Central Business District as well as future Kallang Riverside are all within a short five to 10 minutes’ drive from the site. In addition, the site is in close proximity to established primary and international schools. The popular Geylang Methodist Primary and Secondary School is within one kilometre of the site. Other popular schools within two km of the site include Kong Hwa School and Canossa Catholic Primary School. James Cook University and Nexus International School are also located in the vicinity. The owners are expecting bids in excess of $17 million, which reflects about $779 per sq ft per plot ratio (psf/pr) or $753 psf/pr after factoring in the 10 per cent bonus balcony and a corresponding estimated development charge of about $1.24 million. "The site’s locational attributes would appeal to small and mid-sized developers looking for centrally located small development plots in areas with good growth potential. The subject location would extend seamlessly and benefit from the Kallang Riverside Rejuvenation Plans by the Urban Redevelopment Authority”, said Mr. Tan Hong Boon, Regional Director of Capital Markets at JLL, Singapore. For a high-resolution image of the site, please click here. JLL (NYSE: JLL) is a leading professional services firm that specializes in real estate and investment management. Our vision is to reimagine the world of real estate, creating rewarding opportunities and amazing spaces where people can achieve their ambitions. In doing so, we will build a better tomorrow for our clients, our people and our communities. JLL is a Fortune 500 company with nearly 300 corporate offices, operations in over 80 countries and a global workforce of 86,000 as of June 30, 2018. JLL is the brand name, and a registered trademark, of Jones Lang LaSalle Incorporated.